As the City of Livonia’s Department of Public Works’ Fleet Supervisor, Jim (Buzz) Kirby manages a lot of different equipment to keep operations running smoothly. For Buzz, overseeing the Department of Public Works’ (D.P.W.) equipment includes writing specs and performing evaluations, and overseeing the maintenance and repair of all equipment within the department. In addition, Buzz is responsible for making recommendations for upgrades. After it became apparent that the city’s outdated trailer-mounted air compressors needed an upgrade, Buzz audited the department’s equipment needs, and sought to solve the challenges operators had been describing. 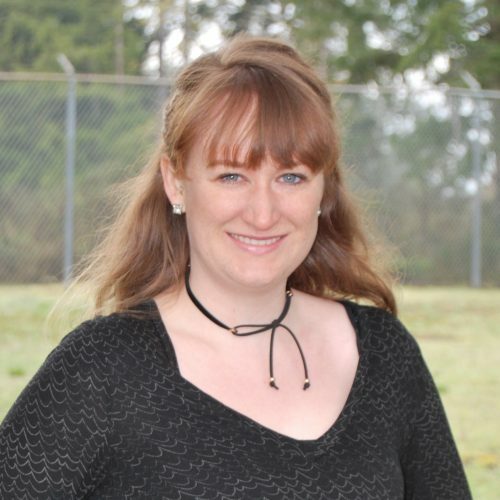 “We had two very old trailer-mounted air compressors that needed to be replaced and were shared between departments, and [they] always needed some type of repair when they needed to be used. This wasn’t convenient when an unanticipated need for compressed air on a job site came up”, says Buzz. This lack of reliability required the Department of Public Works’ Fleet Supervisor to consider different replacement options. First a new tow-behind air compressor was considered, but this didn’t solve the problem with convenience—in cases where the need for air was unexpected, operators would still have to return to the yard to retrieve an air compressor and hook up a trailer, causing lost time and a waste of fuel. After some research, Buzz decided on a truck-mounted air compressor, and found VMAC’s website, VMACAir.com. Buzz contacted their truck builder and found that they were a dealer for UNDERHOOD™ air compressors, which turned out to be exactly what the city was looking for. The City of Livonia’s Department of Public Works began to upgrade their air compressors. 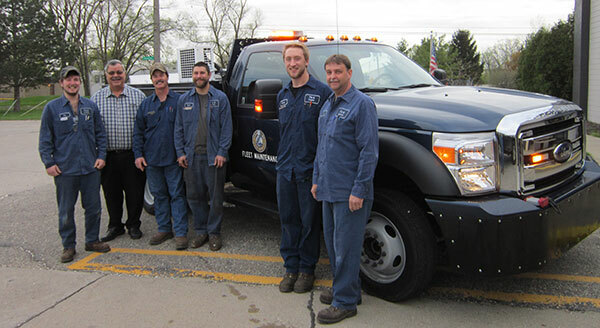 A couple of years later, impressed with the UNDERHOOD™ Air Compressor system, the City of Livonia has installed 14 compressors on their vehicles, including their Ford F-250 pickup trucks and Ford Transit vans. Taking advantage of the various UNDERHOOD™ models with varying output, the City of Livonia’s D.P.W. has air compressors with 40, 70, and 110 CFM* outputs to handle a variety of jobs. The UNDERHOOD™ 150 Air Compressor is being utilized on the road to service broken down equipment. The Water, Roads and Parks Departments use the UNDERHOOD™ 70s on their Ford F-250 pickup trucks for a variety of applications including diaphragm pumps, impact guns, jack hammers, and to blow out underground sprinkler systems. The four UNDERHOOD™ 40s are installed on Ford Transit Vans to operate small air tools to blow off parts, and repair water meters. Equipped with a standard VMAC Lifetime Warranty, each VMAC Air Compressor is built to last. By following the service schedule, Buzz has peace of mind knowing his operators will have the tools they need to do their jobs. In addition to the VMAC warranty, the Fleet Supervisor is happy to know that this installation keeps OEM vehicle warranties intact. “I was impressed with not only the performance of the compressor, but the best part was how things were engineered to fit properly in the engine compartment, as if it was built from the factory”, says Buzz. *Please note the maximum CFM outputs of UNDERHOOD™ systems vary by vehicle application. 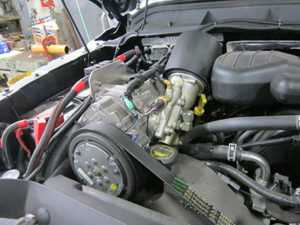 See our UNDERHOOD™ & DTM Application List for details.